In case if you forget security code or maybe you’re having slow performance of windows or hanging issue. And for some reasons you are facing Software problems in your phone. So you need to Hard Reset your device to get rid of all these problems. 2. Press the “Power Button” until you see the Microsoft LOGO. 3. Once you see the Logo quickly press “Volume Down” button. 4. After that you’ll see “Exclamation mark” on your screen. 5. Here Press 3 buttons in the sequence like this : Press “Volume Up then Volume Down, Power button and then again Volume Down”. 6. Last step : When you see “Gear Logo on your Screen” wait until the format complete. After the format completed, You need to the initial setup of Lumia 650 phone. So just select your language and complete the full process. And then you can use your phone without any lagging or slow performance and any software problems. 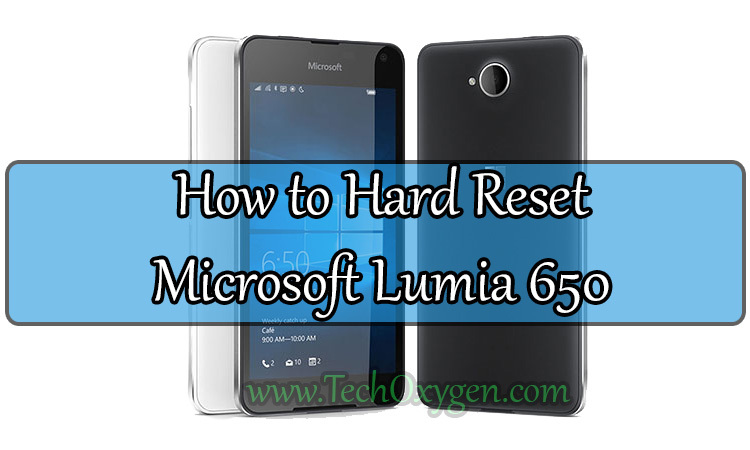 This guide is for Hard reset Microsoft Lumia 650, Will post the Soft Reset for Lumia 650 soon. I hope this helps you to Reset your Lumia 650 Phone. If you still need help comment below.